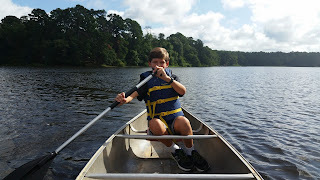 One Saturday morning, we decided to go out to the state park to go canoeing. It was so nice and we should definitely do it more often. I love these simple, outdoor, family moments together. Randy and Brady were in a canoe together and Randy taught him the basics. 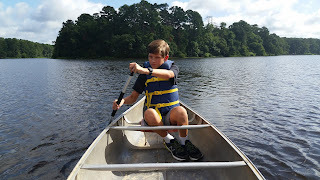 After an hour, he was an excellent little paddler. 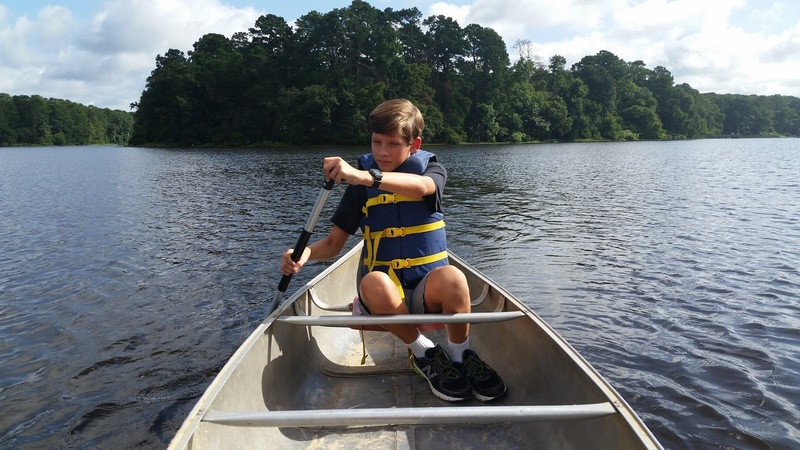 Dawson was the captain of our canoe. He was awesome! 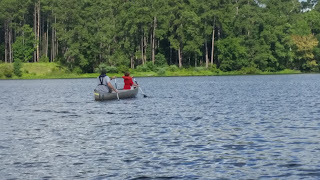 He taught me how to pick out the correct size paddle, he hauled the canoe to the water and pushed us off, and then he guided us all around the lake. I love that he knows how to do stuff like this. 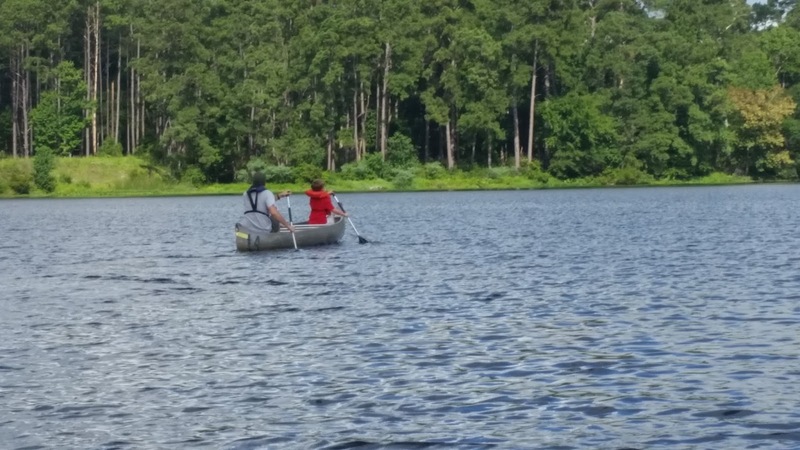 Randy and Brady in their canoe.